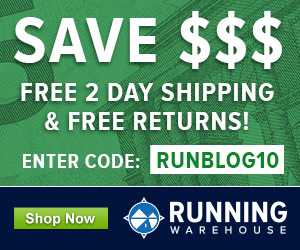 A quick post to highlight some great well cushioned trail shoes for this Spring. Unlike the last few roundups, I’m not going to organized them into order of favorites because they are all quite good in their own way, but instead ordered them from the highest cushioning to the lowest cushioning of the group. I’ll try my best to differentiate what is good about each of them but I’d recommend them all. Let’s get into it. The Skechers GOTrail Ultra 3 was my favorite max cushioned trail shoe last year and one of few max cushioned shoes I feel comfortable running in. I’m happy to report that the Ultra 4 takes what worked so well for the Ultra 3 and just improves upon it. The main differences are: a slightly firmer midsole which makes the shoe a bit more stable, while still being very plush and well cushioned; better, more secure upper with what feels like a noticeably wider forefoot despite it being on the same last (I think this is due to a new no-sew toebox on the upper); lastly a super nice and streamlined tongue on the shoe really finished it off well. The Ultra 4 is still my go to shoe if I want a well cushioned ride without feeling like I’m changing my stride, something I still have problems with when using most max cushioned shoes. Great work Skechers Performance! Great upper with slightly tweaked, more stable ride. Still the best max cushioned out there in my view. 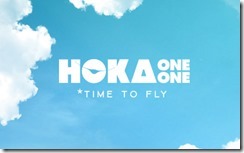 The Challenger ATR 3 is a great sign for Hoka One One. In addition to the Speed Instinct released last year that made my Honorable Mentions list for 2016, the Challenger ATR 3 gives me hope that Hoka is slowly tweaking their shoes in the right direction. The ATR 3 fits so much better than the ATR (never tried the ATR 2) and yet it doesn’t seem to be substantially different in design. Reportedly on the Clifton 3 last, it makes a huge difference. 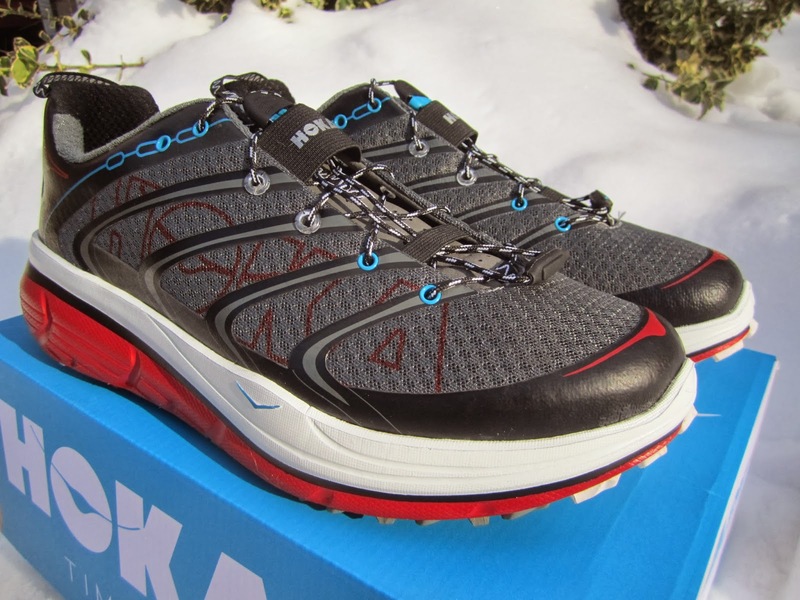 Better toebox width, more secure overlays and a perfect amount of tongue padding and it is probably the best fitting Hoka to date in my mind (I’ve got high hopes for the Speed Instinct 2 and Speedgoat in this regard too). The ride also, while similar, seems slightly tweaked, but in a good way. Foam is a bit more responsive and not just soft (dare I say energy sucking) and dampening like the original. It runs fast and yet very forgiving and light all at the same time. I’m still not in love with the oversized bucket seat heel and rocker (something the Speed Instinct goes with out more or less) but it works in this shoe and, while I can feel it, it is never distracting or problematic and actually kinda nice if I’m tired but don’t want a heavy shoe. If you’ve avoided Hoka in the past for the reasons I have, it might be time to take a second look. Upper is WAY better than previous Challengers and previous Hokas. More refined and comfortable across the board. Enjoying the shoe this spring. The Caldera kind of came out of nowhere for me. While I’ve liked the idea of some of Brooks past trail models, they just never seemed to excel in terms of fit and ride for me. The midsoles tended to be on a firmer/harsher side and the fit of many Brooks shoes just seemed to be super tapered in the toe box and using odd upper design choices (Pure Grit series comes to mind for me in this regard). I’m super happy to say that the Caldera pretty much erases all of those problems for me and is the first Brooks trail shoe I can wholeheartedly endorse. The upper is secure, but much more forgiving in fit, while still feeling similar to a Brooks fit (does that make sense?). I love the straightforward lacing, lace garage (seriously, more lace garages!) and just-right amount of tongue and heel collar padding for a long run/well cushioned shoe like it is. The midsole is lively and responsive while not seeming as big or as large on the run as the stack height and look would indicate. It reminds me of the Pearl Izumi N2/N3s but with a much more responsive ride and more secure fit. These are great things and I sure hope Brooks sells well in this model since I’d love to see some of their other models move in the direction of the Caldera design wise (this doesn’t mean they all need to be higher cushion, but the design approach/material usage could be translated to other types of models). The outsole is also surprisingly adequate despite its sparse application. No problems for me with durability yet and I’d expect it to last at least as long as something like the Challenger ATR 3 above. Such a cool design on the Caldera (bonus points for that!). Great all around shoe and perfect Pearl Izumi replacement if you are looking for one with PI now out of the running business. Topo had a great year last year with the MT-2 and Hydroventure and has built upon that with a more heavily lugged and slightly higher cushioned Terraventure. The upper is classic Topo with light material and seamless overlays throughout. The last feels slightly roomier than past Topos and slightly longer than the Ultra Fly/Magnifly which is a good thing. It is definitely a wider platform in the midsole and outsole than the MT-2 which might be one of the only things I’m not as crazy about, but I guess makes sense for a longer more comfort oriented shoe. The only reason I say this is that I really like Topo, and grab them off the shelf, for that very secure and nimble/natural feel and the Terraventure does move away from this just a little. I’d love to see them tweak the Terraventure just a bit and put a midfoot shank of some sort on top of the midsole between the strobel, in addition to securing the upper just a bit more. With that added structure I think the shoe would feel just a bit more tied together and be a much more appealing and capable long run shoe. As it is, it runs and feels more like an MT-2 PLUS where it is basically the same feel and fit of the MT-2 with little more shoe underfoot but it ends up losing the nimble and light MT-2 feel in the process. That all said, it is still a great shoe and one I’d compare to the Altra Lone Peak, but much prefer over the Lone Peak for my preferences in fit and feel. Classic Topo (which is a good thing) with super clean and simple design. More shoe here and that isn’t necessarily a bad thing although hoping for a few small tweaks in an update. The Superior 3.0, for me marks a new era for Altra trail shoes. While it was quietly released (in my view) and only slightly tweaked in design and appearance, the changes (much like the ones for the Hoka Challenger ATR 3) are just the right things that needed to be done to make the shoe fit and feel like it had the potential to all along. The biggest differences are the new last which is just a hair longer than the old PFS last and as a result fits much better for me because you get the extra length/room with the right level of volume (a problem with sizing up to get the extra length). This culminates in effectively achieving what I hoped Altra could all along: a shoe with a wide toebox that you can actually enjoy because it holds the rest of your foot super well. A wide toebox with a wide back half (unless your feet are high volume, which is just fine 🙂 ), doesn’t work out too well for me and produces a sloppy fit which detracted too much from the advantage of a wide toebox. The Superior 3.0 is the first Altra trail shoe to get this right in my mind. In addition to the much improved fit, Altra added a more substantial rand to the shoes which helps in security in the front half and durablity as well. The midsole and outsole are slightly tweaked and run a bit more responsive. Additionally, it should be slightly more durable too. They still utilize the cutouts in the outsole which is the only piece I’d recommend changing on the shoe. Other than that, it is one of the best medium cushioned, natural trail shoes ever made in my view. Hint for future posts: Altra is doing a lot of things right lately and I have some other posts coming that will highlight some of the great things going on in both the road and trail offerings new for this summer. Best Altra to date for me. Great fit and feel and probably one of the best natural, medium cushioned trail shoes on the market period even if you aren’t specifically looking for a wide toe-box or zero drop. Great post, Pete! Thanks for the info on all of these shoes. I have been curious about the ATR and the Superior for a long time, and based on your recommendations; it’s time that I go try a pair! Have you ever tried the Skechers GoTrail V1? I would be interested to hear your thoughts on it. I did wear testing for Skechers for the GT1 and absolutely love it. For me personally, it works a lot better than the GTU3/4. I had some instability problems with the GTU3 & 4 when running on technical terrain. But I wonder how much of that is the shoe and how much of that is biomechanical deficiencies with my body? Any thoughts? For the dirt trails where I live the GTU seems too padded (definitely energy sucking) as compared to a shoe like the GT1 which is working very well for me. Hey Brad. Thanks for the comment and I have tried the GOTrail and actually some early versions of v2 as well. Good shoe and agree on your assessment of the differences between the ultra. The plate in the GOtrail makes a huge difference in stability as well as the lower stack. While I agree that the Ultra 4 isn’t the most stable on technical terrain, I’ve really enjoyed it for the dry hardpack I get out in Oregon. Thanks for reading. -David. I’m looking for a recommendation for a cushioned trail shoe *without* a low-drop element. I do a lot of races with severe incline (like Pike’s Peak marathon which it looks like you’ve done too) and it just doesn’t make sense to me to try these in a low drop shoe as that puts even more stress on calf/achilles. Seems like all the “good” cushioned shoes are also low-drop though. Any ideas? Hmmm…that’s a good question. Out of the ones listed the ATR 3 is going to be easiest on the achilles due to the rocker (even though it is 5mm drop). As far as higher drop, well cushioned trail shoes, the adidas Response Trail Boost: link to runningwarehouse.com and the Supernova: link to runningwarehouse.com would work pretty well for Pikes (I’d probably run a road shoe if I did Pikes again…the Nike Pegasus 33/34 would be near the top of my list as well) and are fairly well cushioned. Additionally, I enjoy the Nike Wildhorse 3 and 4 and they are 8mm drop. The Montrail Caldorado II might also be worth a look too: link to runningwarehouse.com I’ve been enjoying those and they are a good improvement on v1. Hope that is helpful! -David. 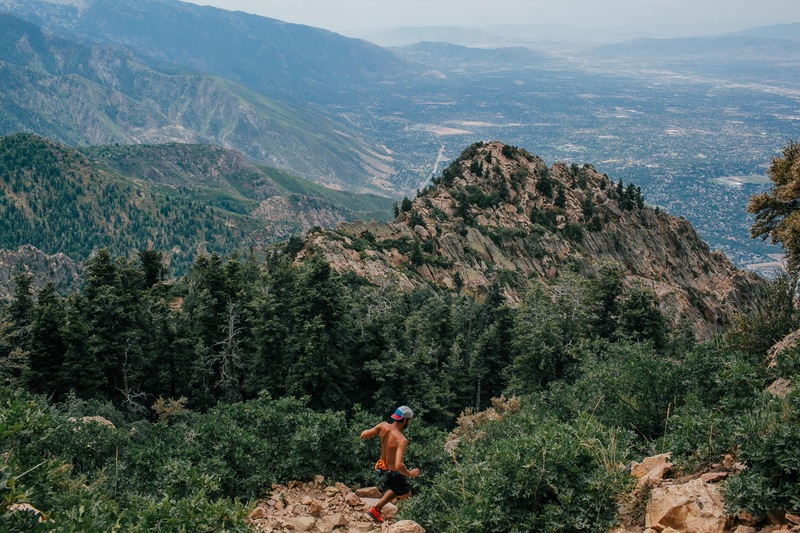 I’m curious why you’d run in a road shoe at Pikes…I know it’s not an overly technical trail but I’m looking for as much grip as possible on the rocks and especially that scree in the last 3 miles or so. Thanks for reviewing these models David. I haven’t tried a Skechers trail shoe yet, but I’m simply amazed at their road models (the GOrun and GOmeb). The fit is fantastic, and it sounds like the trail shoe mimics this. The Challenger still makes me nervous as I’m leery of the stack height. I’ve met many runners who have rolled ankles on the trails in these, though I don’t know if this is very widespread. It sounds like the Superior is your favorite. Like Skechers, I’m enjoying Altra these days. I’m regularly using the Torin for long runs, and I recently purchased the King MT (which utilizes the Ego midsole like the Escalante). This model uses a midfoot velcro strap, and I like how it locks the foot down. Thanks Austin…yeah no problems with the ATR 3 but still not a huge fan of the oversized and super wide midsole…the Speed Instinct is much better in this regard. I love the Skechers Ultra 3 and 4 when I want some plushness…the new Ultra Road 2 is going to blow some minds I think :). I do like the Superior…probably not for runs over 3 or 4 hrs but it is a very well balance trail shoe…good improvement across the board for Altra in 2017. Loving to hear the new Altra shoes fitting better (read: more snug) in mid/rearfoot. Like Escalante, Torin, Superior. I guess it’s the PFS2 last? Thanks for the review. I think it is a new last…says PFS 3.5 on footbed…not sure if that is indeed the last version. I’ve got an email in to Altra to confirm this…whatever it is it fits much better. The forthcoming Timp trail shoe is on the same last and the new One v3 is on a new version of the PFS last (says PFS 1.5 on footbed on it and fits much better than many past Altras for me). Nice, it’d be interesting to get a word from Altra on what exactly are the differences between all those versions of PFS. In your experience, how does the midfoot/heel lockdown compare on the new Superior to the Kiger 3? The Kiger has been the best trail show I’ve ever worn on technical terrain because it holds my foot so well, but I’m sick of the outsole starting to peel off before 300 miles. (Also, I’m afraid the 4 gives up a lot of what I love about the 3). Thanks for such an informative review David. Nothing is more important than a shoe that fits perfect, matches the running gait of the athlete and most importantly, gives the runner confidence. I’m looking at giving the brooks caldera a run through next. sorry, off topic, but i figured you’re more likely to see queries on the most recent post. have you tried any salomons with the new vibe technology. does it seem worthwhile? i’m thinking about getting the s-lab sonic on sale, but wondered if the sonic 2 with vibe might be significantly better. Did you get your hands (or should I say feet) on the Saucony Koa TR already? Fit/feel looks promising. Looking forward for your word on it. I like the fit of the Terra Kiger but the bootie system of the upper makes the shoe very hot. Hi David – Based on your recommendation, I tried out the Skechers shoe reviewed above and I flat out love them. Just a perfect combination of fit and cushioning for long off-road runs. I like them so much in fact that I’m wondering if Skechers makes a “road” version? I can’t tell looking at Skechers lineup which one most matches these in their non-trail lineup. Any suggestions? 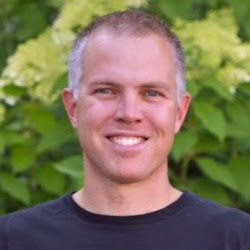 hi david–i wondered if you ever tried the brooks mazama. i’ve been thinking about the first version, since it’s a lot cheaper now.